The current price is 7900 Euro. The detailed specification of UPRIGHT articulated boom is provided below. This commercial transport unit was produced in 2005. The gross weight is 3680 kg. Chassis configuration: front tires: 40 %, rear tires: 40 %, tires: Solideal. Max. lifting capacity: 215 kg. 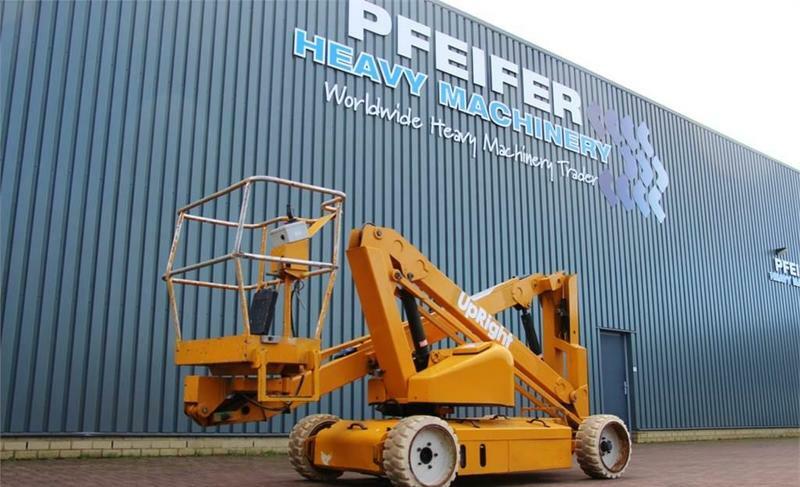 Good luck in your deals with Pfeifer Heavy Machinery BV!